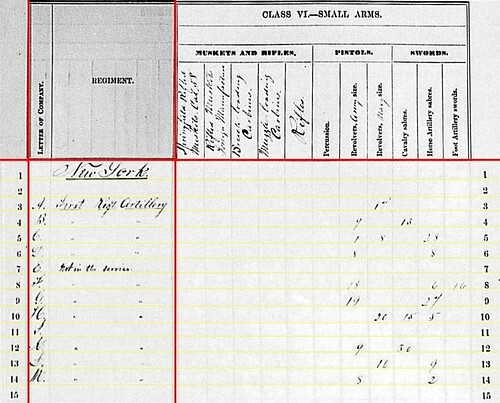 Battery A: At Pottsville, Pennsylvania, on an April 1864 receipt date, with four 12-pdr Napoleons. Battery A, under Captain Thomas H. Bates, transferred to the Department of the Sesquehanna in early June 1863, specifically the District of Philadelphia. They pulled the “arduous” duty of guarding Pottsville and the vital Yuengling Brewery… right…. Battery B: At Culpeper, Virginia with four 10-pdr Parrotts. Recall Lieutenant Robert E. Rogers brought this battery off the field at Gettysburg, after more senior officers fell. At that time the battery supported Second Corps. 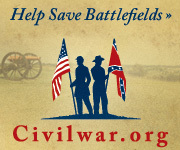 After Gettysburg, the battery moved to the 2nd Volunteer Brigade, Reserve Artillery, Army of the Potomac. Lieutenant Albert S. Sheldon, recovering from his Gettysburg wound, was promoted to command the battery. Later in December, Rogers would replace Sheldon permanently. Battery C: Listed at Three Mile Station, Virginia (three miles from Warrenton Junction, at a village named Casanova today) with four 3-inch Ordnance Rifles. Captain Almont Barnes remained in command and the battery remained with Fifth Corps. Battery D: Reporting from Brandy Station, Virginia with six 12-pdr Napoleons. Supporting Third Corps, Captain George B. Winslow remained in command. Battery E: “Not in the service.” Reduced by sickness and other causes during the Peninsula Campaign, members of this battery were then serving with Battery L, below. 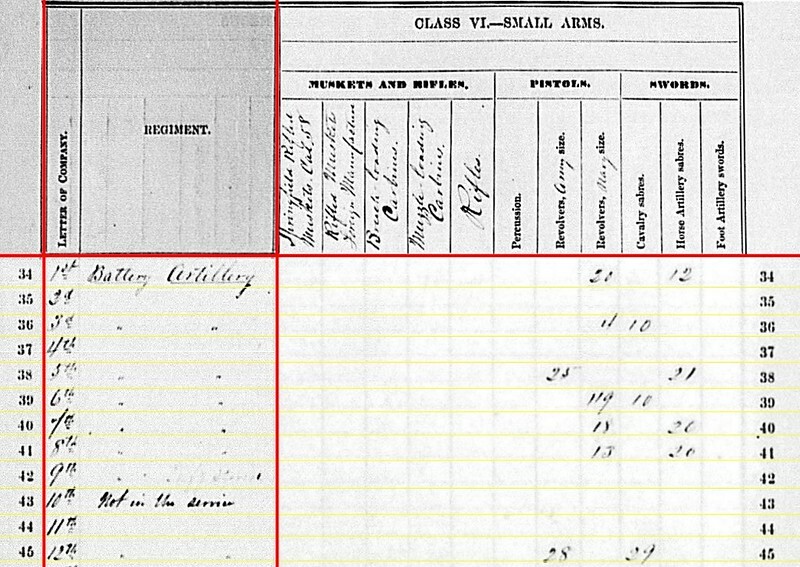 Lieutenant William Rumsey is the ranking officer I know of, from this period, in the battery. Battery F: At Camp Barry, Washington, D.C. with four 3-inch Ordnance Rifles. Captain William R. Wilson remained in command. The battery, assigned to the Artillery Camp of Instruction, was in the Twenty-second Corps. Battery G: Now at Mitchell’s Station, Virginia, in Culpeper County, with six 12-pdr Napoleons. Captain Nelson Ames’s battery transferred out of the 4th Volunteer Brigade, Artillery Reserve in August, returning to the 2nd Corps. Battery H: Also at Camp Barry with four 3-inch Ordnance Rifles. Captain Charles E. Mink remained in command. At the end of September, the battery transferred to First Corps, Army of the Potomac. Battery I: No report. Captain Michael Wiedrich commanded this battery, assigned to Eleventh Corps. The battery had six 3-inch Ordnance Rifles at this time of the war. The battery was sent west, with the rest of Eleventh Corps, to reinforce Chattanooga, with movement starting in late September. Battery K: Reporting at Brandy Station, Virginia with six 3-inch Ordnance Rifles. The battery remained with the battery assigned to Third Volunteer Brigade, Artillery Reserve. The 11th New York Independent Battery was attached to Battery K at this time, and manned two of the guns. In August, Captain Robert H. Fitzhugh was promoted to Major. In his place Lieutenant Edward L. Bailey led the battery. Battery L: Simply “in the field” with six 3-inch Ordnance Rifles. Listed on the order of battle as a combined Batteries E & L, Captain Gilbert H. Reynolds commanded. The battery supported First Corps and was in Culpeper County at the end of the reporting period. 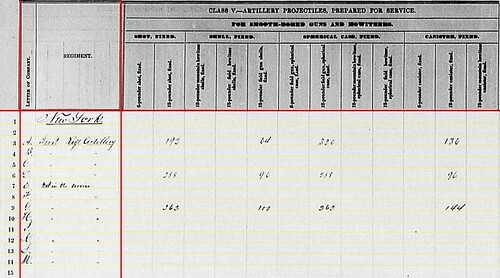 Battery M: Reporting from Bridgeport, Alabama, in January 1864, with four 10-pdr Parrott rifles. Lieutenant Charles Winegar commanded this battery, supporting Twelfth Corps. 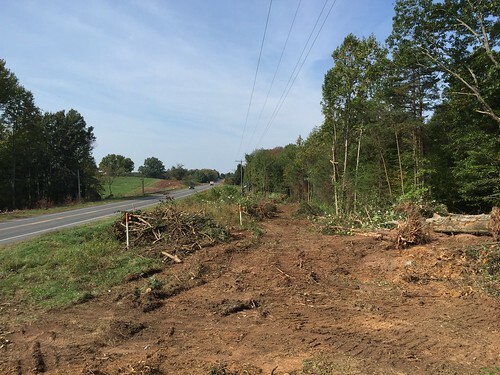 The battery started movement in late September with its parent formation on the long journey to reinforce Chattanooga. So while the location as of the end of September was Virginia, within a few weeks they were transiting through Bridgeport as they played a part in the relief of the Army of the Cumberland. 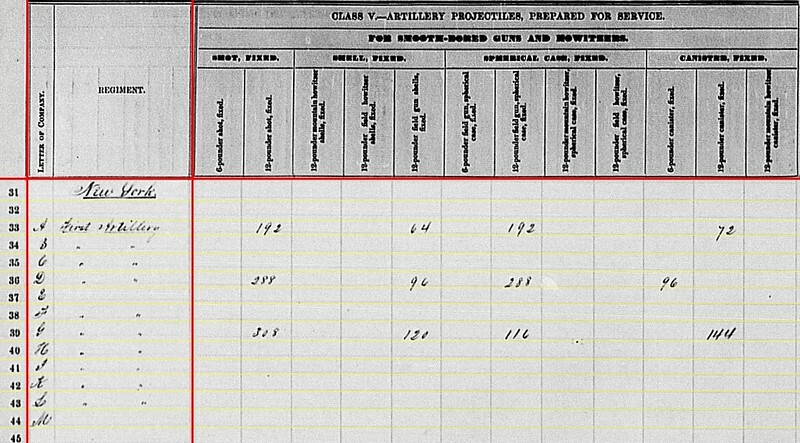 For perhaps the brief moment of a single quarter within the war, all of the 1st New York Light Artillery was operating in the same theater. When Battery H transferred to the First Corps, only Battery A (in Pennsylvania) and Battery F (in D.C.) were outside the Army of the Potomac. However, with the departure of the Eleventh and Twelfth Corps for Chattanooga in the last days of September, that arrangement changed. Battery A: 192 shot, 64 shell, 320 case, and 136 canister. Battery D: 288 shot, 96 shell, 288 case, and 96 canister. Battery G: 262 shot, 100 shell, 262 case, and 144 canister. Battery C: 92 canister, 140 percussion shell, 146 fuse shell, and 456 bullet shell for 3-inch rifles. Battery F: 123 canister, 56 percussion shell, 160 fuse shell, and 480(?) bullet shell for 3-inch rifles. Battery H: 180 canister, 130 percussion shell, and 160 fuse shell for 3-inch rifles. Battery K: 120 canister and 362 fuse shell for 3-inch rifles. Battery L: 120 canister and 39 percussion shell for 3-inch rifles. Battery B: 354 shell, 297 case, and 95 canister for 10-pdr Parrotts. Battery M: 298 shell, 412 case, and 94 canister for 10-pdr Parrotts. Battery B: 57 shell for 10-pdr Parrott. Battery H: 293 case for 3-inch rifles. Battery K: 353 shell and 555 case for 3-inch rifles. Battery L: 441 shell and 600 case for 3-inch rifles. Battery B: Nine Army revolvers and thirteen cavalry sabers. Battery C: One Army revolver, eight Navy revolvers, and twenty-eight horse artillery sabers. Battery F: Eighteen Army revolvers, six horse artillery sabers, and sixteen foot artillery swords. Battery G: Nineteen Army revolvers and twenty-seven horse artillery sabers. Battery H: Twenty Navy revolvers, fifteen cavalry sabers, and five horse artillery sabers. Battery K: Nine Army revolvers and thirty cavalry sabers. Battery L: Sixteen Navy revolvers and nine horse artillery sabers. Battery M: Eight Army revolvers and two horse artillery sabers. 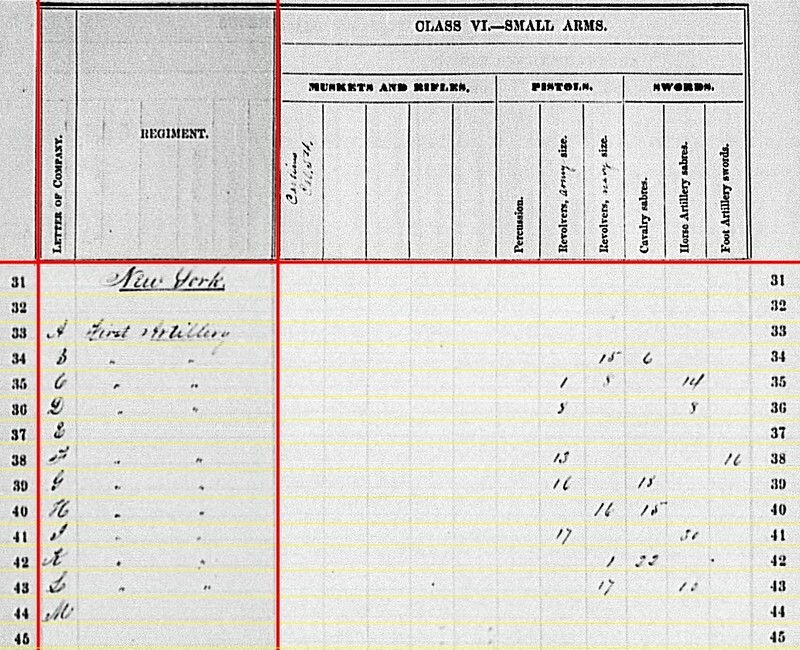 Once again, we see a very good set of returns for the 1st New York Light Artillery. Where there are empty entry lines, other (official) records fill in many of the open questions. For the next several installments covering the summaries, we will look at New York batteries. The first of these is the 1st New York Light Artillery Regiment, which was administratively commanded by Colonel Charles S. Wainwright. Though, as Wainwright lamented at different times, administrative command really amounted to being responsible for more paperwork. Battery A: At Pottsville, Pennsylvania with four 12-pdr Napoleons. 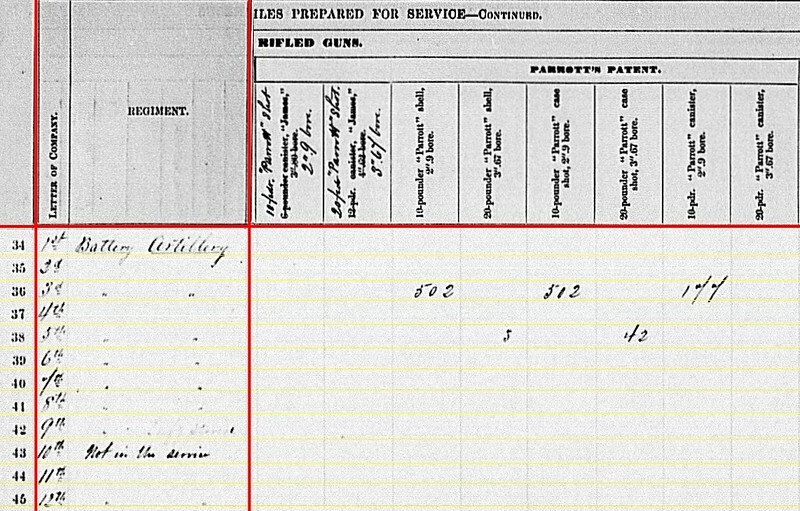 The location may be correct for February 1864 (as indicated for the receipt of return). But in the winter of 1863, Battery A, under Captain Thomas H. Bates, was at Camp Barry. The battery, recently reformed after losing all guns during the Peninsula Campaign, was training new crews. Battery B: At Falmouth, Virginia with six 10-pdr Parrotts. Captain Rufus D. Pettit’s battery was assigned to Second Corps, Army of the Potomac. Battery C: Also at Falmouth, Virginia, but with four 3-inch Ordnance Rifles. This battery was assigned to support Fifth Corps. Captain Almont Barnes resumed command in the winter months. Battery D: And another battery at Falmouth, this with six 12-pdr Napoleons. After a short assignment to the Ninth Corps, Captain Thomas W. Osborn’s battery came back to Second Division, Third Corps. Lieutenant George B. Winslow assumed command with Osborn holding artillery brigade duties. Battery E: No return. 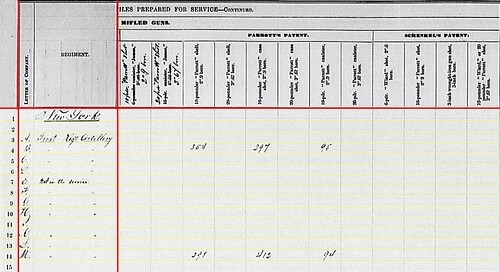 Reduced by sickness and other causes during the Peninsula Campaign, Battery E was assigned to 1st New York Independent Light Artillery at this reporting interval. Battery F: Yorktown, Virginia with four 3-inch Ordnance Rifles. Captain William R. Wilson’s battery remained part of Fourth Corps, Department of Virginia. Battery G: Another New York battery at Falmouth. They reported six 12-pdr Napoleons. Captain John D. Frank held command at the start of the winter. But illness forced him to turn command over to Lieutenant Nelson Ames at the start of the spring. The battery was assigned to Third Division, Second Corps. Battery H: Fort Keys, Gloucester Point, Virginia with four 3-inch Ordnance Rifles. Also assigned to Fourth Corps. Captain Charles E. Mink commanded this battery. Battery I: Stafford Court House, Virginia with six 3-inch Ordnance Rifles. Captain Michael Wiedrich commanded this battery, assigned to Second Division, Eleventh Corps. Battery K: Reporting at Brandy Station, Virginia with four 3-inch Ordnance Rifles. For the second straight quarter, this battery’s location reflects a January, 1864, report. During the winter of 1863, Battery K was with the First Division, Twelfth Corps and under Edward L. Bailey. Battery L: At Pratt’s Landing, Virginia with six 3-inch Ordnance Rifles. Captain John A. Reynolds’ battery supported First Division, First Corps. Battery M: No return. This battery was also part of First Division, Twelfth Corps in December 1862. Lieutenant Charles Winegar commanded the battery. I believe it was equipped with 10-pdr Parrotts. So we see barely any assignment changes for the 1st New York Light. Battery A: 192 shot, 64 shell, 192 case, and 72 canister for 12-pdr Napoleon. Battery D: 288 shot, 96 shell, 288 case, and 96 canister (see note to follow) for 12-pdr Napoleon. Battery G: 308 shot, 120 shell, 116 case, and 144 canister for 12-pdr Napoleon. If you refer back to the previous quarter, Battery D’s numbers for shot, shell, and case appear to be the same. And they reported 96 canister in December. My call is a transcription error put the “96” in the column for 6-pdr canister. That’s a lot more plausible than some supply foul-up. Battery C: 102 canister, 40 percussion shell, 226 fuse shell, and 544 bullet shell for 3-inch rifles. Battery H: 20 canister and 70 percussion shell for 3-inch rifle. Battery I: 120 canister, 390 fuse shell, and 651 bullet shell for 3-inch rifle. Battery K: 97 canister, 257 percussion shell, 118 fuse shell, 274 bullet shell for 3-inch rifle. Battery L: 36 canister and 982 fuse shell for 3-inch rifle. 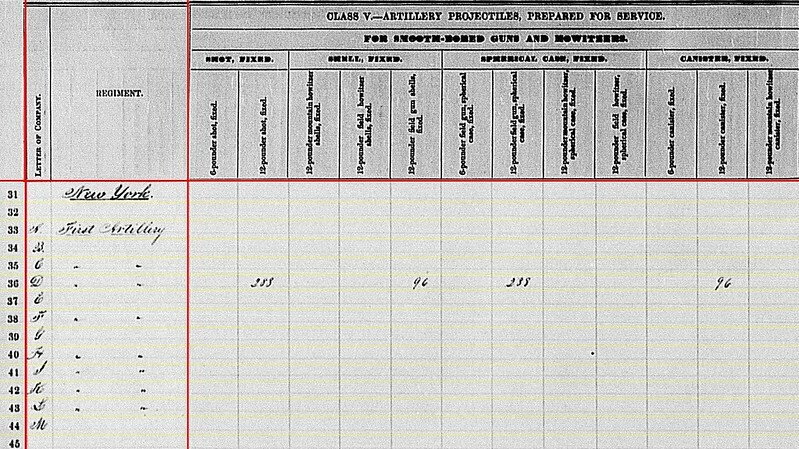 Seems the 3-inch batteries with the Army of the Potomac had a lot of case shot for their Ordnance rifles. Battery B: 623 shell, 520 case shot, and 123 canister of Parrott patent for 10-pdr Parrotts. Battery H: 58 shell, 560 shrapnel, and 140 canister of Dyer’s patent for 3-inch rifle. Battery L: 180 Schenkl solid shot for 3-inch rifles. Battery H: 285 Schenkl shells for 3-inch rifle. Battery I: 116 Schenkl shells for 3-inch rifle. Battery B: Fifteen Navy revolvers and six cavalry sabers. Battery C: One Army revolver, eight Navy revolvers and fourteen horse artillery sabers. Battery G: Sixteen Army revolvers and eighteen cavalry sabers. Battery I: Seventeen Army revolvers and thirty horse artillery sabers. Battery K: One Navy revolver and twenty-two cavalry sabers. As we might expect for well organized batteries operating in the east, where non-artillery duty assignments were few. New York’s contribution to the Federal war machine was not just a “cog” in a wheel. Rather we might say the Empire State provided a whole wheel. And part of that was of course a number of artillery batteries. I could well spend several posts discussing the various formations – heavy artillery, light artillery regiments, independent batteries, independent battalions, National Guard batteries, etc…. oh, and don’t forget some rocket batteries. 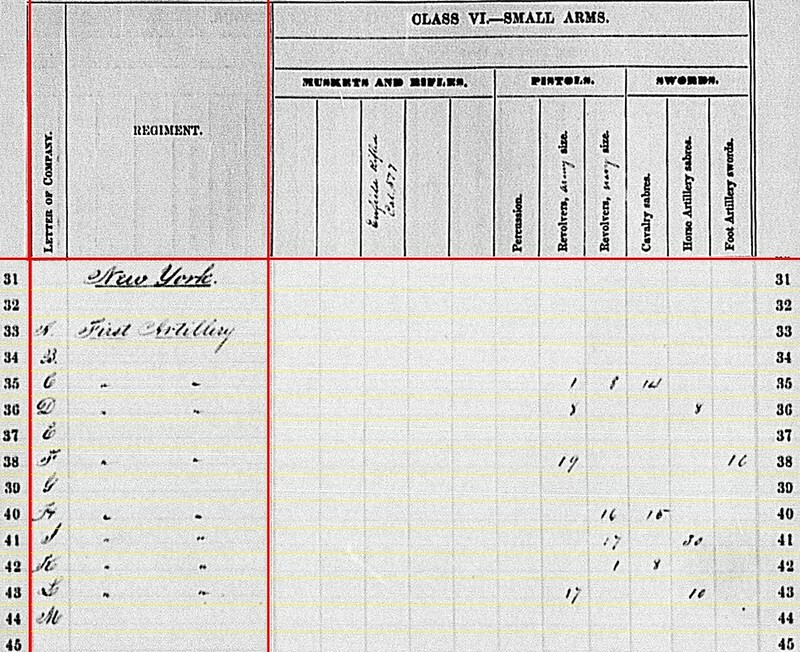 But for the Fourth Quarter 1862 summaries we need focus on four groups – 1st New York Light Artillery Regiment, 3rd New York Light Artillery Regiment, 1st New York Light Artillery Battalion (sometimes cited as the “German” battalion), and numbered independent light artillery batteries. There’s one additional line for reporting artillery assigned to a volunteer cavalry formation. And we should also mind the German battalion’s batteries were later assigned independent battery numbers. But that was the future. For December 1862 we have two regiments, one battalion, thirty-two (minus four that were at the time in the battalion) independent batteries, and one “other” line to consider. Battery A: No return. This battery’s guns were captured earlier in the year at Seven Pines. Most of the surviving men were transferred to other batteries while Captain Thomas Bates went about recruiting and reorganizing. 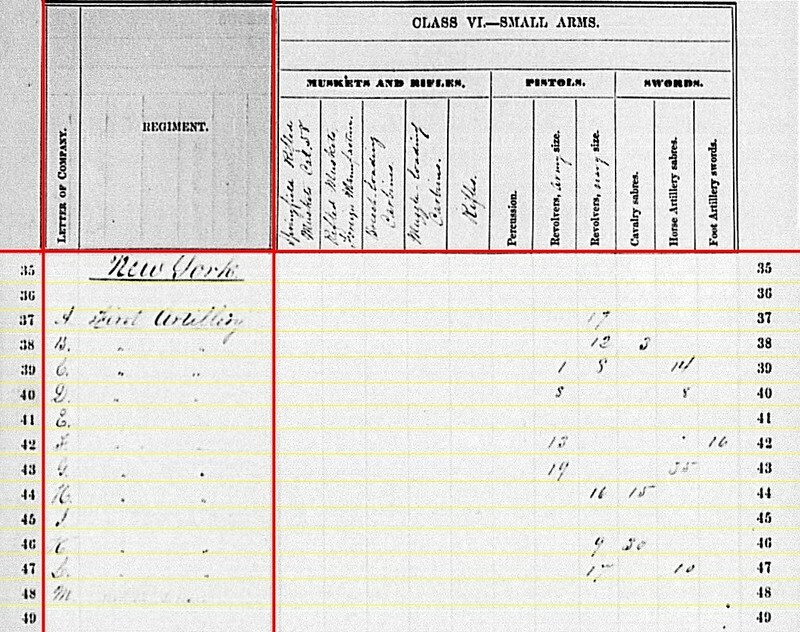 So in December 1862, there was no equipment to report. Battery B: No return. Captain Rufus D. Pettit’s battery was part of Second Corps, having just participated in the Fredericksburg Campaign with six (or four?) 10-pdr Parrotts. Battery C: At Falmouth, Virginia with four 3-inch Ordnance Rifles. This was Lieutenant William H. Phillips’ battery assigned to support Fifth Corps. Battery D: Fredericksburg, Virginia with six 12-pdr Napoleons. 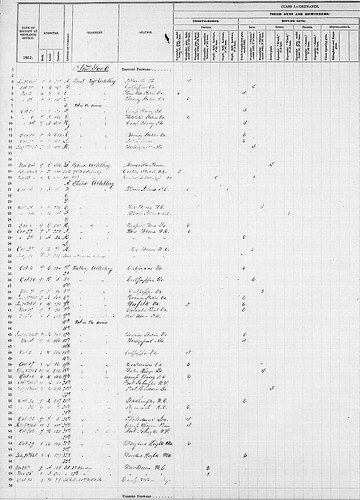 Battery assigned to Ninth Corps and under Captain Thomas W. Osborn. Battery F: Yorktown, Virginia with four 3-inch Ordnance Rifles. Captain William R. Wilson’s battery was part of Fourth Corps, Department of Virginia. Battery G: No return. This was Captain John D. Frank’s battery supporting Second Corps with four 12-pdr Napoleons. Battery I: Falmouth, Virginia with six 3-inch Ordnance Rifles. Captain Michael Weidrich’s battery supported Eleventh Corps. Battery K: Brandy Station, Virginia with four 3-inch Ordnance Rifles. 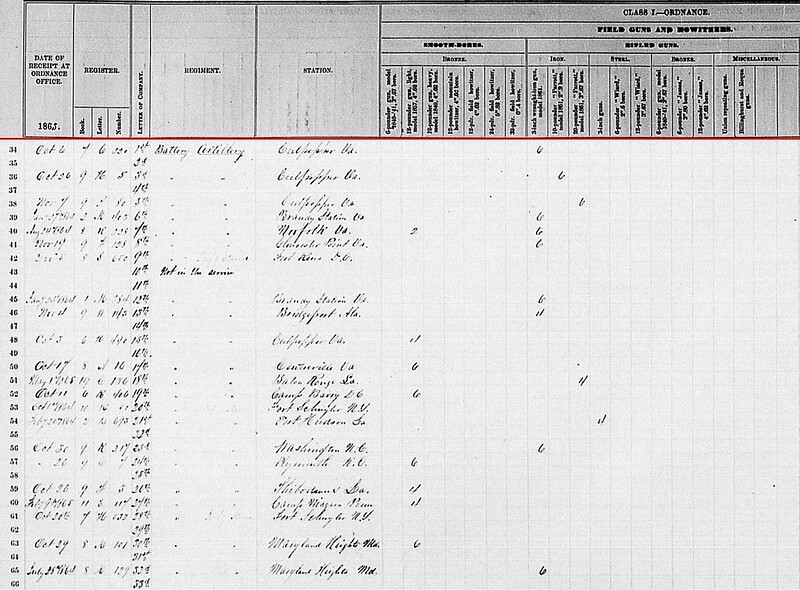 This location is obviously in error for December 1862. It was correct for January, 1864, when the return was received in Washington. Backing up a year and a month, Battery K was with the Twelfth Corps for the 4th Quarter, 1862. Battery L: No location given but with four 3-inch Ordnance Rifles. Captain John A. Reynolds’ battery supported First Corps, which was near Fredericksburg at the time. Battery M: No return. This battery was also part of Twelfth Corps in December 1862. Lieutenant Charles Winegar commanded the battery at the time, with Captain George W. Cothran on leave. I believe it was equipped with 10-pdr Parrotts. Of note here is the listing for Battery K with the discrepancy indicated with regard to reported location. Often in correspondence (present day correspondence, that is), folks will eagerly inquire about these summary statements. The perception, which I held when first looking them over, is we have a gold mine of “facts” to work with. Not entirely true. What we have are a lot of numbers that must be shaken down for some useful information. The example seen here, with Battery K, one of the many issues that demonstrate the data is not “clean”. The summaries are far short of the sound foundation of facts that might lead easily to solid information. Though those summaries are a bit firmer than clay, I would quickly point out. 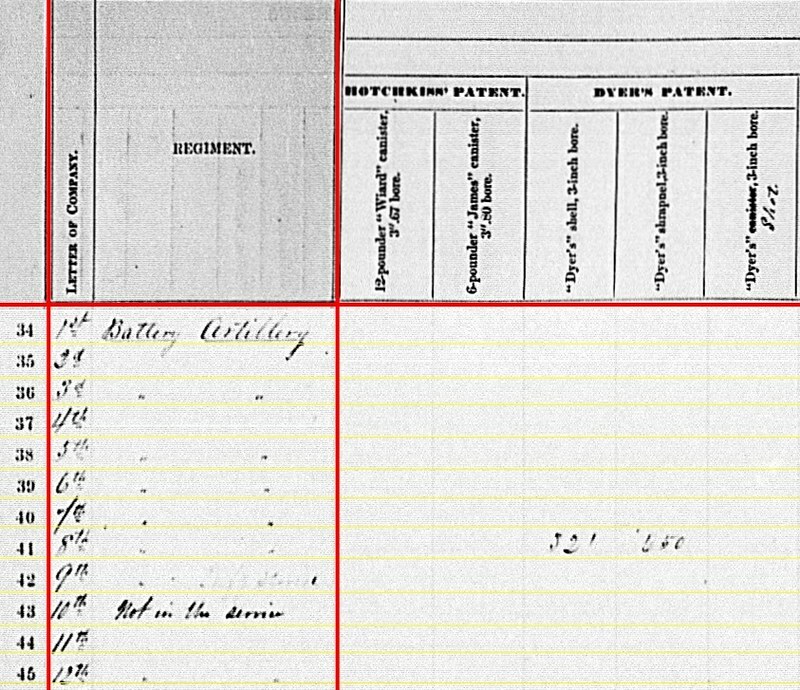 At the December 1862 reporting time, I believe Battery K was commanded by Lieutenant E. L. Bailey. It was part of a battalion commanded by Captain Robert H. Fitzhugh, the battery’s former commander. Batteries K and M constituted 2/3rds of the battalion. And it was part of Wainwright’s regiment. Wainwright who, as we know from his diary, was very particular about keeping up with his paperwork. 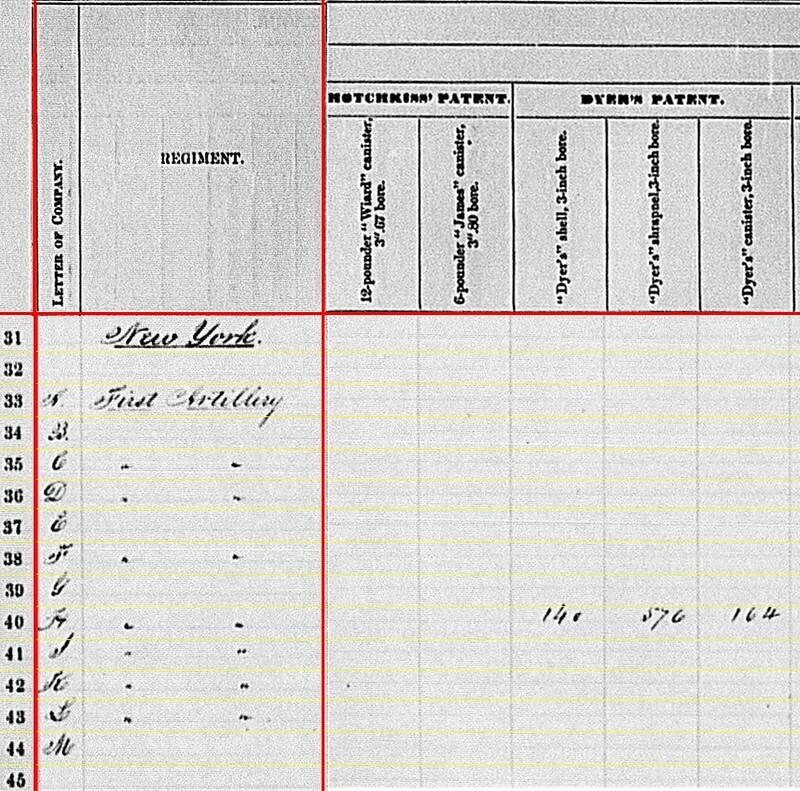 Yet, this battery didn’t give a fourth quarter, 1862 report until over a year later. And when that report was registered by the Ordnance Department, an erroneous location was recorded. One would think such tardiness wouldn’t be allowed. And one would rightly supposed Battery K’s officers would report on time and accurately. Our impression is the chain of command above Battery K would insist on timely reporting. Furthermore that the clerks in Washington were efficient and never lost such important paperwork. Yet, the record indicates otherwise. The only smothbores among the reporting batteries were the Napoleons of Battery D. That battery reported 288 shot, 96 shells, 238 288 case, and 96 canister. Battery C: 102 canister, 40 percussion shell, 235 fuse shell, and 576 bullet shell all in 3-inch caliber. Battery F: 80 canister, 80 percussion shell, 160 fuse shell, and 430 bullet shell of 3-inch. Battery I: 120 canister, 290 fuse shell, and 651 bullet shell in 3-inch. Battery K: 97 canister, 117 percussion shell, 118 fuse shell, and 54 bullet shell also 3-inch. We might attach some significance to the proportionally larger numbers for “bullet shell” or what I prefer to call case shot. Battery H had 140 shells, 576 shrapnel (case), and 164 canister, all in 3-inch caliber. Battery H had 285 3-inch shells and Battery I had 116 of the same. None of the batteries known to have Parrott rifles had a return complied. So we are certainly missing more than a handful of pieces to the puzzle. And I would point out that while Battery K’s data did not include any projectiles, the other pages indicate the battery had other supplies accounted for in the belated report. Battery C: One Army revolver, eight Navy revolvers, and fourteen cavalry sabers. Battery F: Nineteen Army revolvers and sixteen foot artillery swords. Battery I: Seventeen Navy revolvers and thirty horse artillery sabers. Battery K: One Navy revolver and eight cavalry sabers. Battery L: Seventeen Army revolvers and ten horse artillery sabers. In summary, and to reinforce the point made above in the battery details, we cannot take this summary as a clear, clean “snapshot” of what equipment was on hand at the specified time. Even here for a set of Eastern Theater units, very close to Washington, we see easily recognized errors in the data. So we are obligated to ask questions and search for answers that validate… or invalidate.